I have a fun blog hop for you today and it is something a little bit different! My friends have gone a little fan girl over Kiwi Lane and their designer templates. Basically they are plastic templates that you can use to help design your projects by layering them on your base paper to decide what you want it to look like before you actually cut into your paper! So, when I was offered the chance to play with a set and participate in this blog hop, I jumped at the chance. The 12” Borders Clara Lane templates from Kiwi Lane. Then I just had to pick my papers, trace, and cut. Have I mentioned how much I love the sentiments from this set? Plus I had to use the border/pennant element stamps to add a little bit of something extra next to the photos. And even the heart next to my favorite little guy! 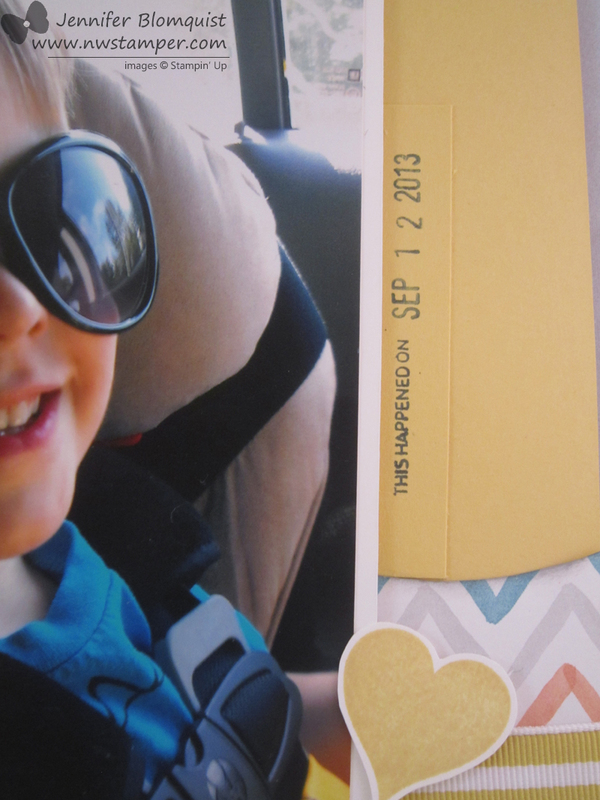 Watercolor Wonder designer paper from Stampin’ Up! 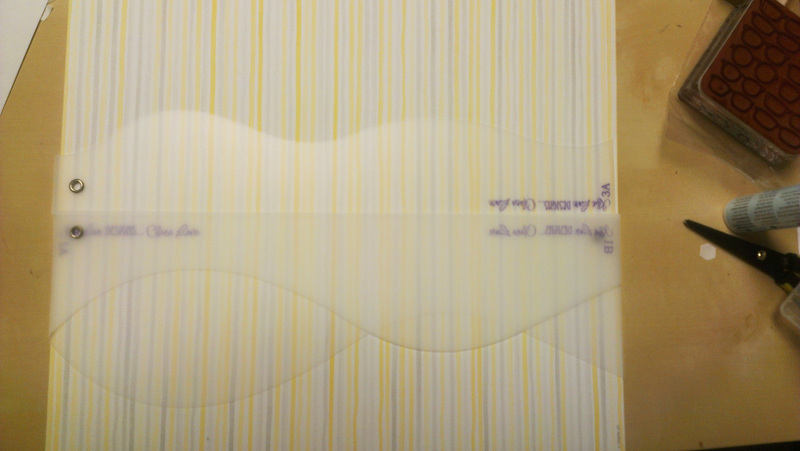 This is one of those sets of paper that I kept thinking was really pretty, but never actually got to cutting into it…. well, fixed that problem! I loved the colors and decided to go for it on this page. And while you can’t see as much of them on the first page, I figured I decided I wanted to do something with the remaining “scraps” of paper that was left over after I cut out my waves for layout 1 and so I whipped together layout 2! I just took my leftover designer paper and thought it would make a great edge to a scrapbook page. I layered them together – Don’t Gasp! – I’ll admit, I cut off the bottom two layers so I could save a ton of the paper for future projects, but I liked the pattern on top for a background for my page. Then I layered all the waves over another piece of patterned paper (Soft Sky pattern from the paper stacks) to complete the look. And if you look REALLY CLOSE, you can see my faux stitching I did along the edge of the wave. It is actually pretty subtle on the final page in person as well, but gives just a little extra something. 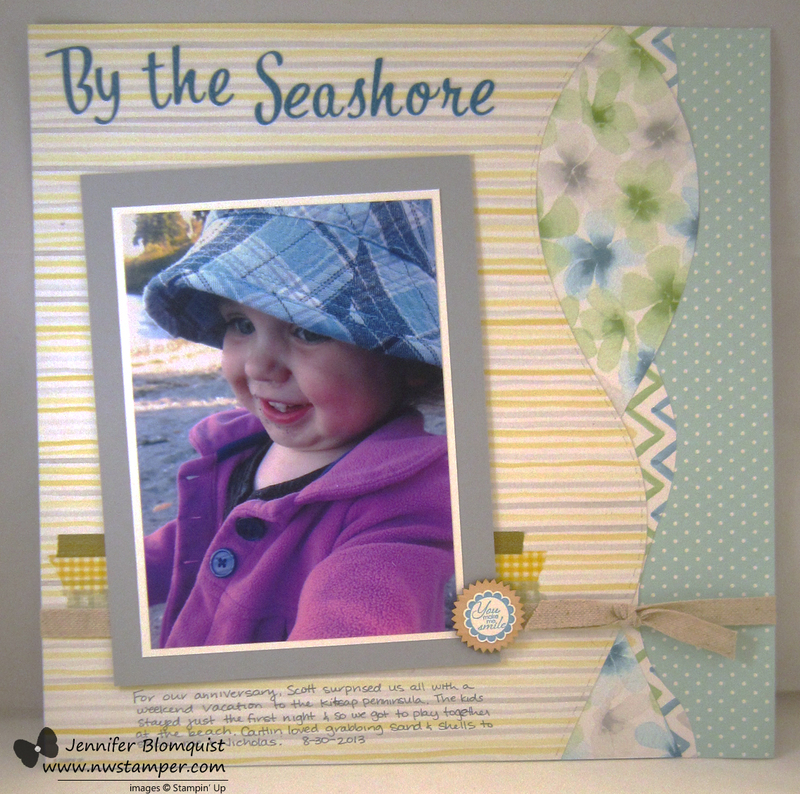 What I loved, I was able to pull these two layouts together in ONE naptime! Yup, the first layout took me more of the time, but then the second one using the scraps just came together. I think I have the fun templates and the cute paper patterns to thank for that. 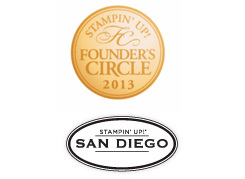 Want to Win a $25 Gift Certificate to Kiwi Lane? You will see some amazing talent on this blog hop, so check everyone out and share the love by leaving a comment on each stop. The hop runs through 11:59 PM MST on Sunday FEBRUARY 9TH. A random winner from ONE of the participating blogs (including the Kiwi Lane blog), will be given a $25 gift certificate to the Kiwi Lane Shop, for leaving a comment and will be announced on the Kiwi Lane blog on Thursday, FEBRUARY 13TH. WOW..yes, cutie faces for sure! 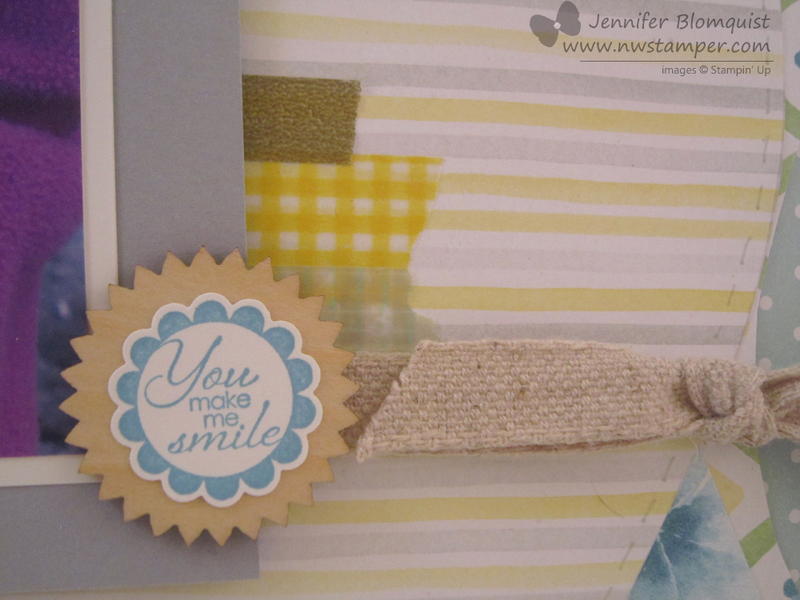 Your design lay out is beautiful and you are one thrifty crafter…LOL! 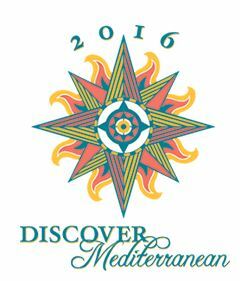 Now following your newsletter. 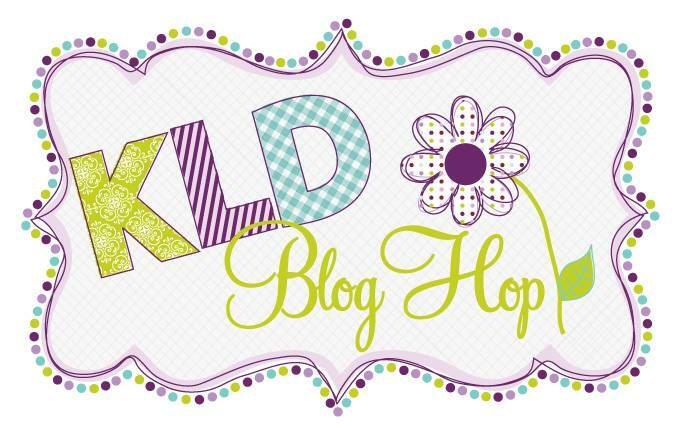 I’m so happy to share this KLD blog hop with you! Your two layouts are beautiful. Love the fact that you said you completed them during nap time. That is good use of nap time. I also like your use of stamps, washi tape and natural ribbon. Thank you for the ideas. 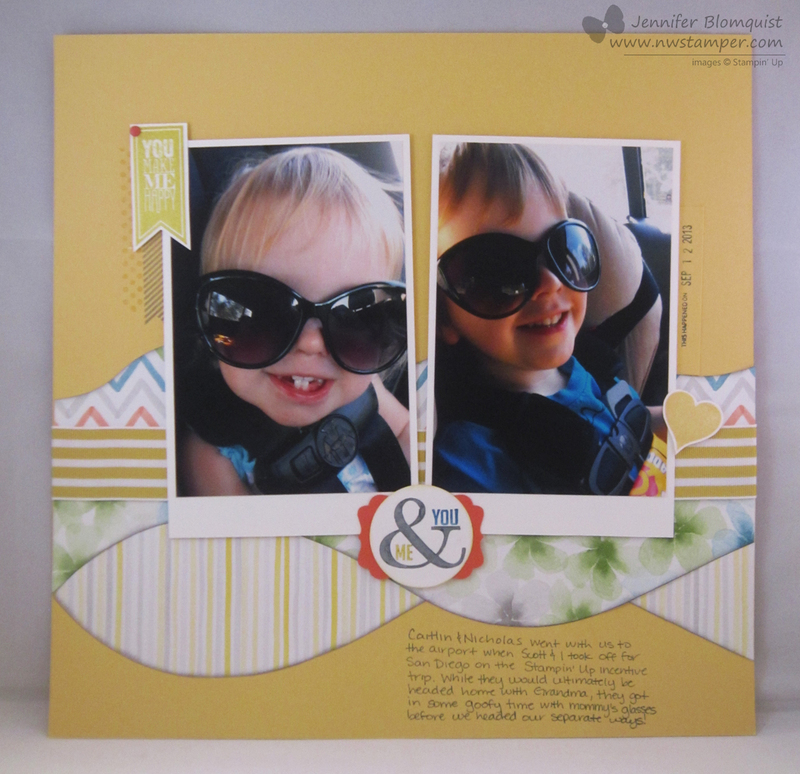 Such sweet faces— love the cool shades 😉 Pretty papers and love, love the waves! Love these layouts! Fantastic job! I love the layouts and use of the templates. 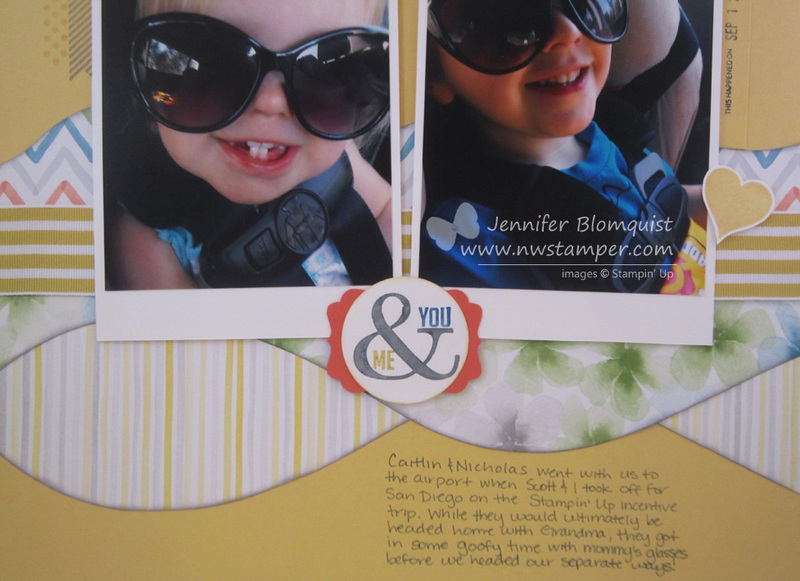 AMAZING layouts – I love the muted colors with the sunglasses one, just makes those pictures pop off the page! Wonderful layouts of these cute photos. Great choice of papers too. Love the clean design of your page. 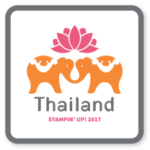 I, too, am a stamper. Love to see the two mixed. Thanks for sharing! Cute layouts! I love the patterns and colors, thanks for sharing. What great layouts. and what a cute little one. Cute kids and fun bright pages. I love the layouts. They’re not overly fussy. It looks like something I could actually do. I loved your 2 layouts! I especially liked how your took your scraps from the first layout and used them for your second one. I am going to use that idea…. thanks for sharing. Awesome layout!! Cute little ones!! These layouts just make a person smile! 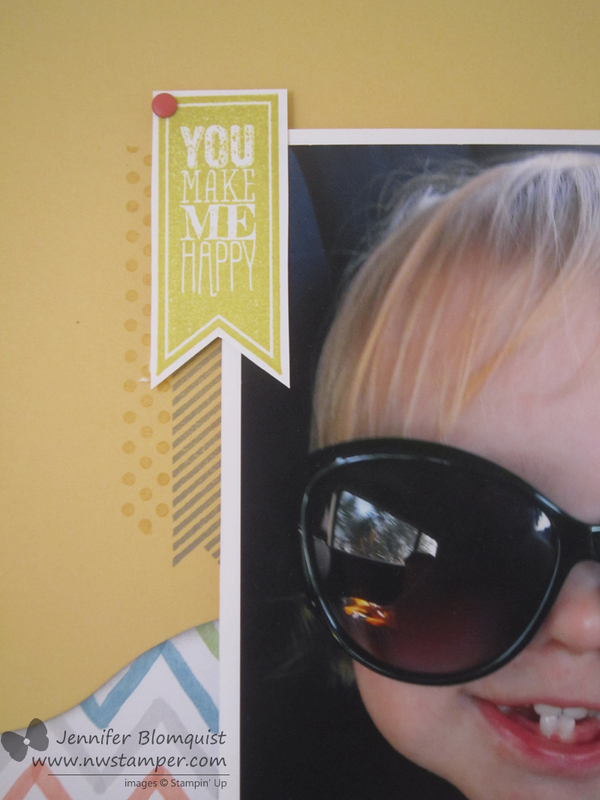 Love your layouts, super cute layouts and super cute kids! Love the layouts. Thanks for sharing.